Cover photo: “A Passionate Wedding,” by Julie Jones Ivey. 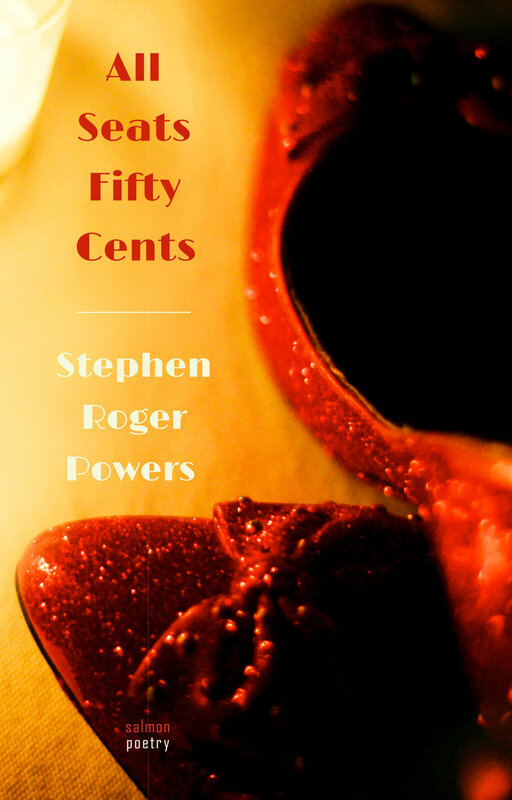 Stephen Roger Powers’ love of movies, TV shows, literature, and all things Dolly Parton shines in All Seats Fifty Cents, a whimsical, original poetry collection that is both a heartfelt homage to his grandparents and an unflinching look at an unraveling relationship. All Seats Fifty Cents reads like a delightful sequence of stories, with Powers’ rich and high-spirited imagination surprising the reader at every turn. All Seats Fifty Cents is filled with poems that are clear, insightful, and fun. Whether talking about geography, family, pop culture (The Hulk and Dolly Parton make several appearances), or, that oldest of subjects, love, Stephen Roger Powers is always as entertaining as a good dancer marveling at his own grace. He writes like no one else in poems which make their own melody and quickly have the reader humming along. This collection by Stephen Roger Powers has the precision of poetry and the clear and developed setting that one usually finds in a novel. He deftly uses old cultural touchstones like the Sears catalog and Lou Ferrigno (as well as more recent fare, like Downton Abbey) to show us that what some might regard as disposable culture actually has tremendous power to shape our worldview. Without being either sentimental or sarcastic, Powers develops a clear vision of American culture in All Seats Fifty Cents, making it personal but also accessible in the best sense of the word. Readers will enjoy the humor and description on a first read, and they'll be rewarded with carefully framed observation each time they revisit these wonderful poems. A new book of poems by Stephen Roger Powers? I feel like a kid who's just been told there'll be two Christmases this year. Can't wait to see the gifts he has for us this time. Should I open and read them all at once? Or savor them one at a time?